BLUETOOTH!, SIRIUS / XM SATELLITE RADIO!, 10 Speakers, Advanced Package, Alloy wheels, All-Weather Floor Liner Package, AM/FM radio: SiriusXM, Blind spot sensor: Blind Spot Monitor (BSM) warning, Brake assist, Day & Night Inside Rear-View Mirror, Distance-Pacing Cruise Control, Fog Lamps, Garage door transmitter: HomeLink, Heads-Up Display, Heated steering wheel, Intelligent Clearance Sonar w/Parking Assist, Navigation System, Power driver seat, Radio: 11" AVN, SofTex Seat Trim. 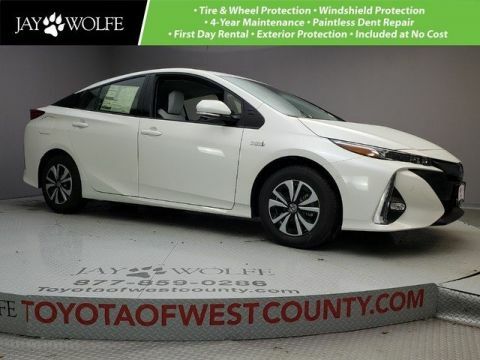 Blizzard Pearl 2019 Toyota Prius Prime Advanced FWD 1.8L 4-Cylinder DOHC 16V VVT-i 2019 Rav4 advertised price includes TFS non-subvened APR cash valid for purchases financed with standard TFS rates up to 72 months. 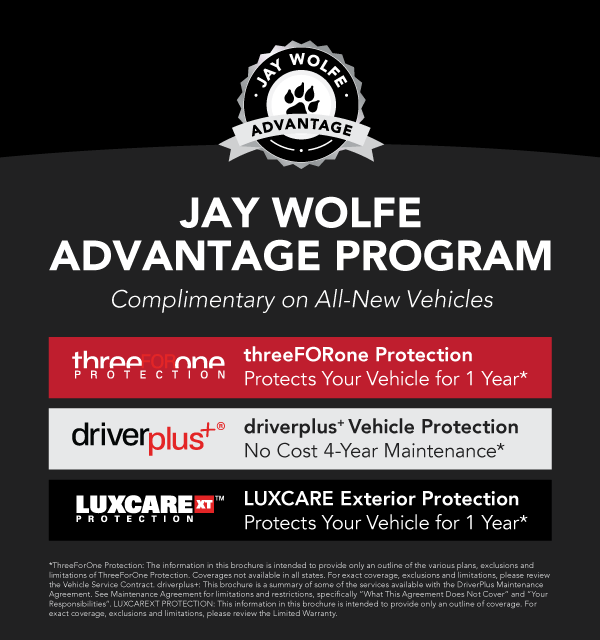 Get the advantage...the JAY WOLFE ADVANTAGE COMPLIMENTARY & exclusively at Jay Wolfe Toyota of West County! ThreeFOROne Protection – 1 Year Tire & wheel - Windshield – Paintless Dent repair Driverplus+ NO COST 4-YEAR MAINTENANCE AT TOYOTA OF WEST COUNTY ON ALL-NEW VEHICLES LUXCARE XT Protection - 1 Year Exterior Painted Surfaces – Headlight & Taillight Lenses – Alloy wheels Call us at 636 207-3900, visit us at 14700 Manchester Rd., Ballwin MO 63011 or check out our website at toyotaofwestcounty.com.